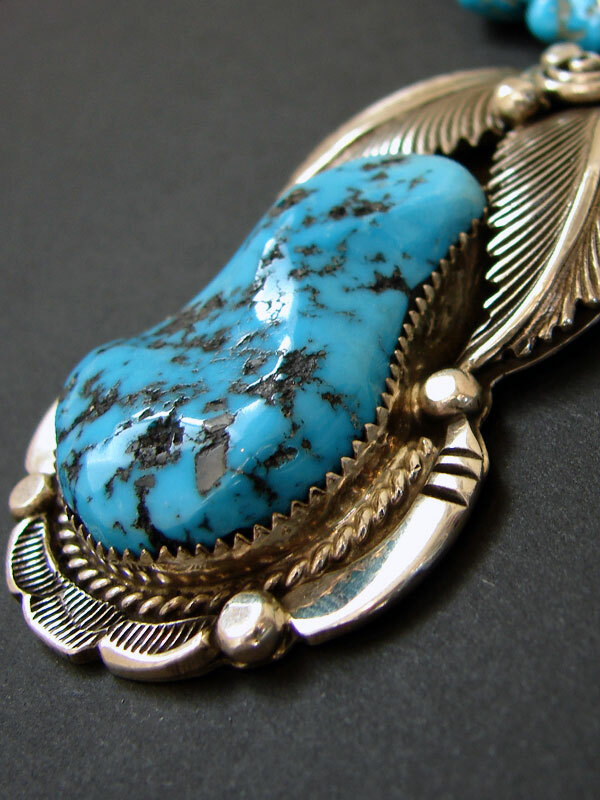 This lovely sterling silver and turquoise pendant necklace is stamped DE on the bale for Daniel Ensitty, a deceased Navajo artisan. 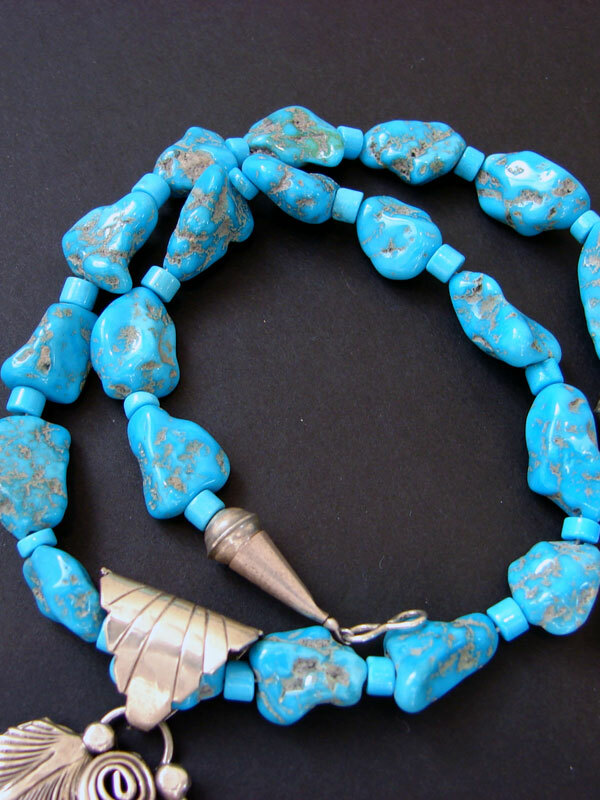 The pendant is 3-1/8" long by 1/1-2” wide. 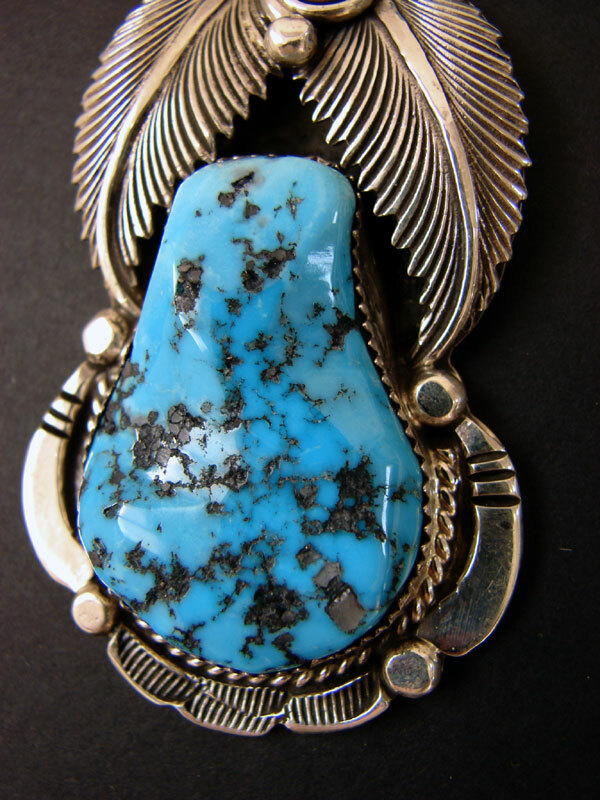 It holds an exciting Kingman turquoise stone which is 1-3/8” long by 1” at the widest in a sawtoothed bezel. 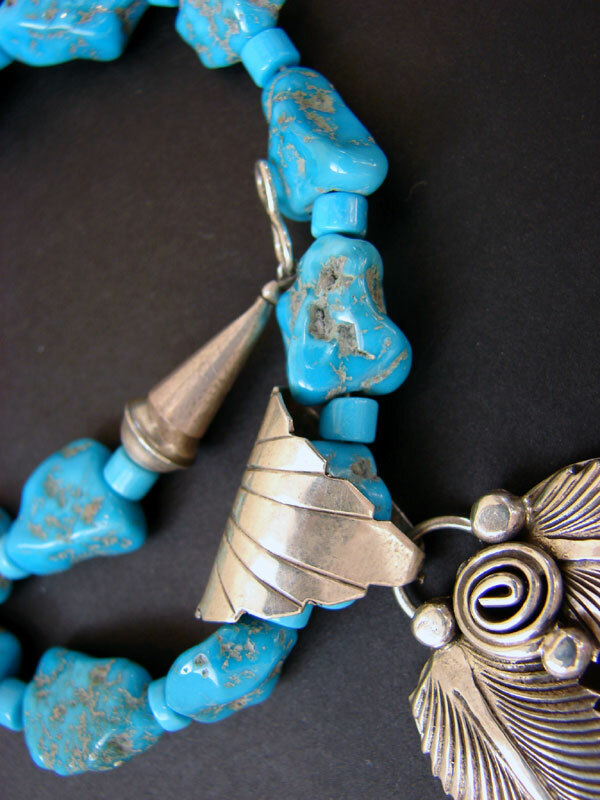 The piece is further enhanced by deep, meticulous stamp work. 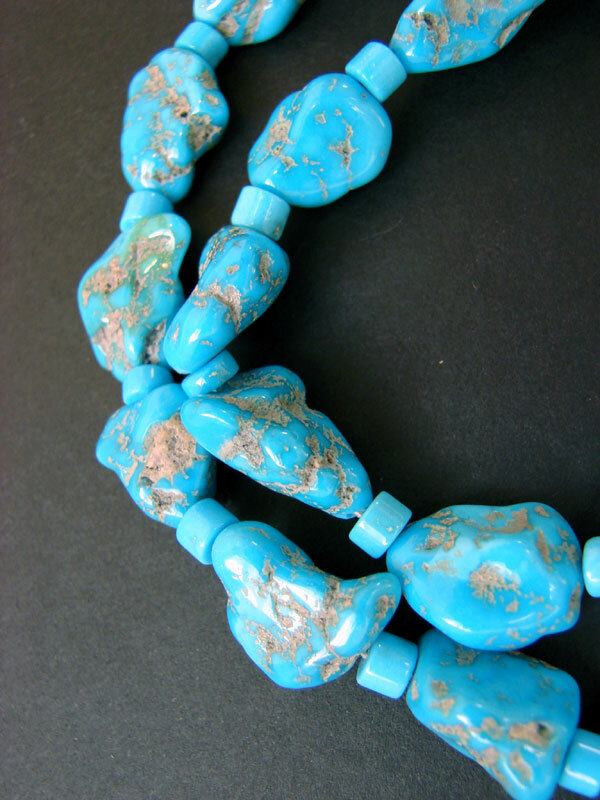 The turquoise necklace is 16” long.